Ambassador Reiichiro Takahashi, Consul General of the Japanese Consulate in New York, will share his insights in this talk about collaboration between Japan and the United States. 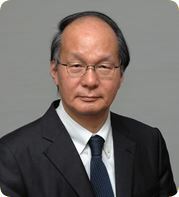 Ambassador Takahashi served as Counselor at the Japanese Embassy in Washington, D.C. from 1997 to 1999. In his thirty-five years of service in the Ministry of Foreign Affairs, he was also Ambassador to Afghanistan from 2011 to 2012. Most recently, he was Director General of the International Peace Cooperation Headquarters of the Cabinet Office which oversees Japan's participation in United Nations peacekeeping operations. Join the JASP for this free evening at the Duquesne Club on February 22, 2018. The talk will begin at 6 PM, followed by a coffee and pastry reception. To be added to the wait list, please email jaspintern@us-japan.org.